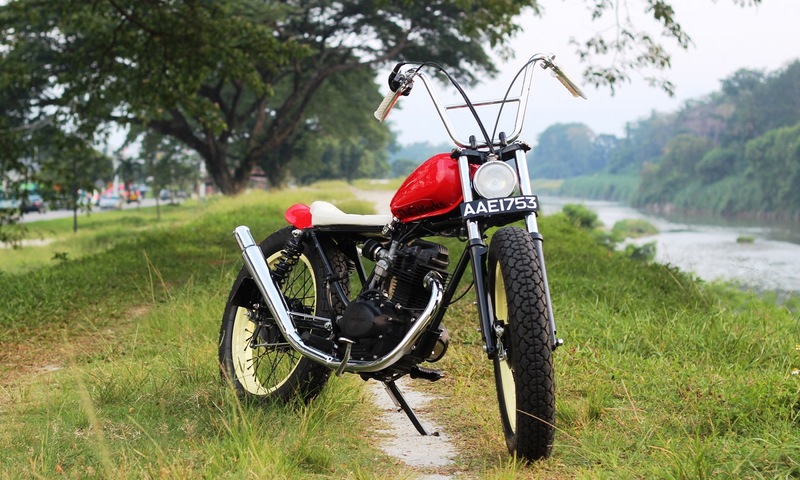 Custom culture is alive and well in Malaysia, where we see a great many small displacement bikes with big personality. 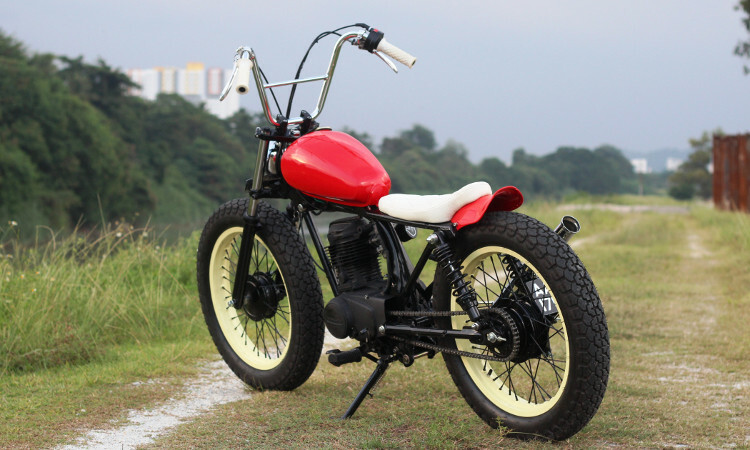 Such was this Honda XL125 scrambler by Irwann Cheng, formerly of Kemeh Fabrications. 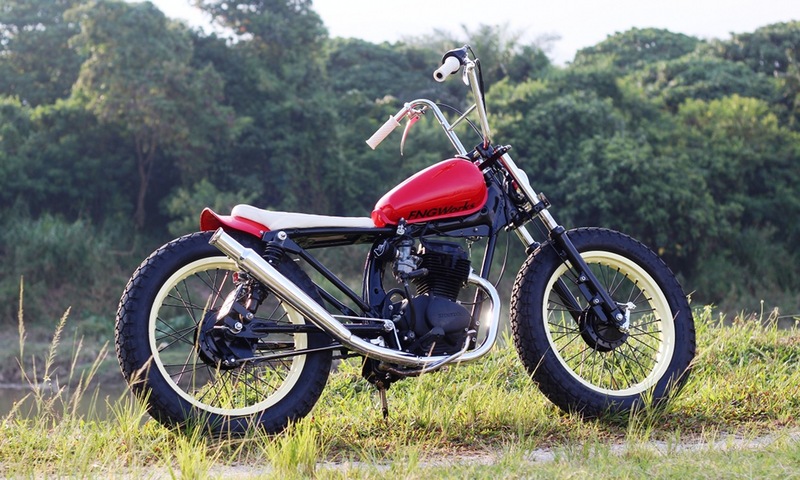 Irwann has since gone full-time, rebranding his workshop to FNG Works, and we’re proud to feature this 1988 Honda CG125 bobber. Dubbed “Sofia,” the bike was built for a female client who wanted a light and reliable custom with a chopper/bobber look. 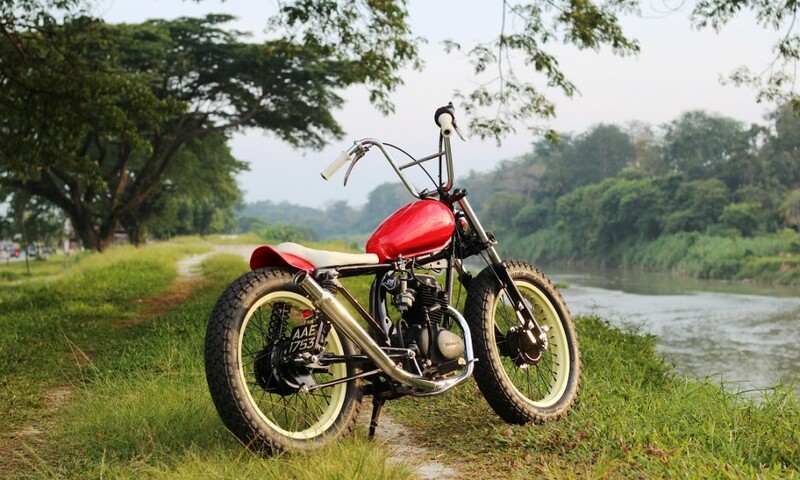 Starting with nothing but a rusty frame and engine, Irwann built a small cc bobber with many one-off parts and lots of fab work. Below, we get this full story on this bad little metric bobber. I am Irwann Cheng from Malaysia. 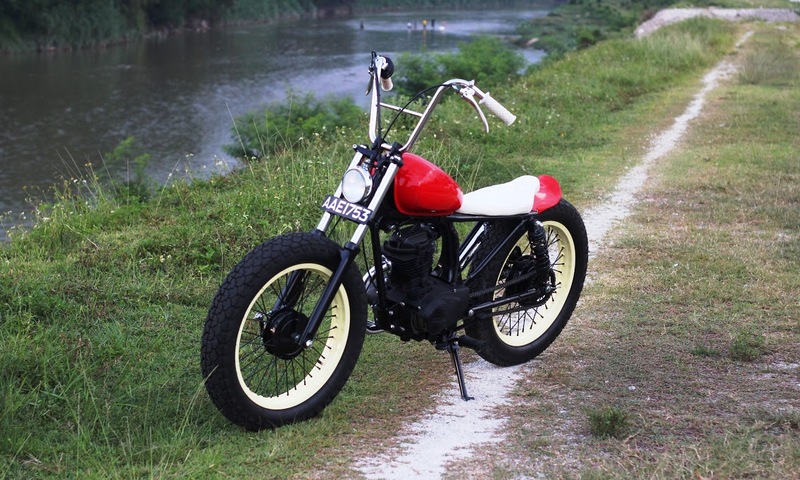 Maybe you remember the Honda XL125S you featured a few years before? After a long hiatus, I have rebranded Kemeh Fabrications and now running the FNG Works full time. 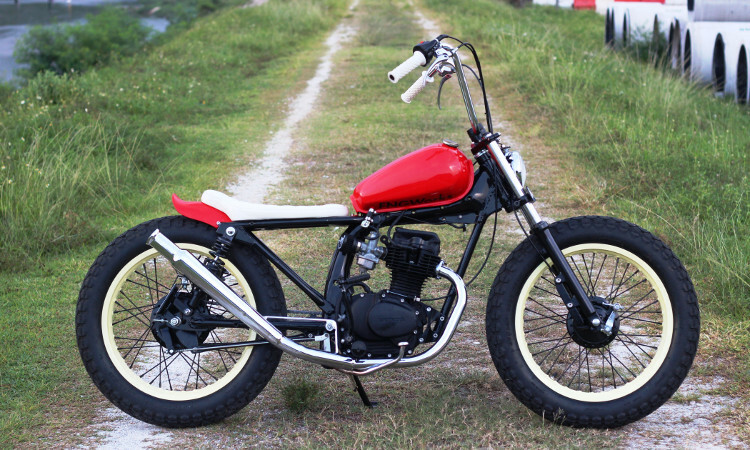 This bike started as a Honda CG125, or what’s left of it. Only the rusty frame and engine was sent to me to start to work on. The owner of this bike is a woman. She needs a bike with small cc for her to start to riding. Something light and small. 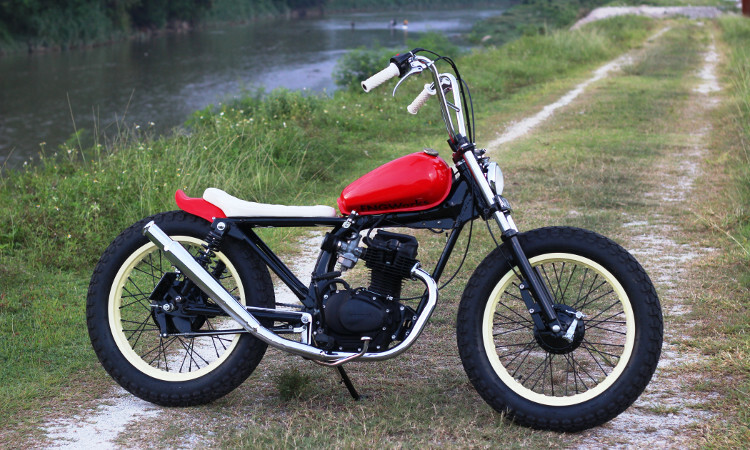 Honda CG125 is the best candidate. It is small, the engine is super reliable and doesn’t need so much care to maintain. 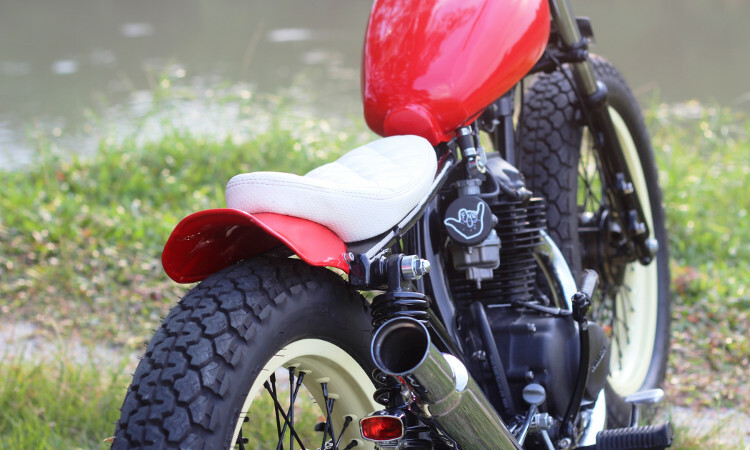 She loves the bobber and chopper look, so this is what i have come out with. Started with the frame, I have de-tabbed and clean off all the unnecessary brackets. 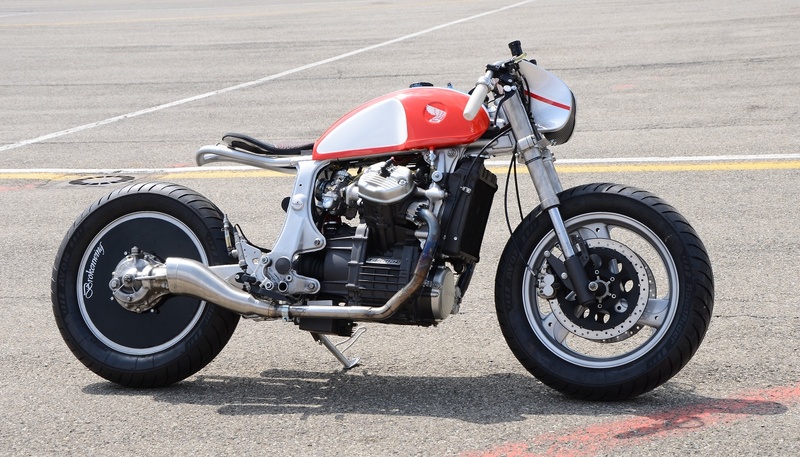 I cut the rear subframe and made it short to fit the one-off custom made fender which look like a ducktail. The tank was from a moped which I couldn’t remember the model but it suits the look of the bike well. The frame was then powdercoated in black. For the front, I used Yamaha TZM 150 fork with the Kawasaki Ninja 150 triple trees to give some clearance for bigger tyre. 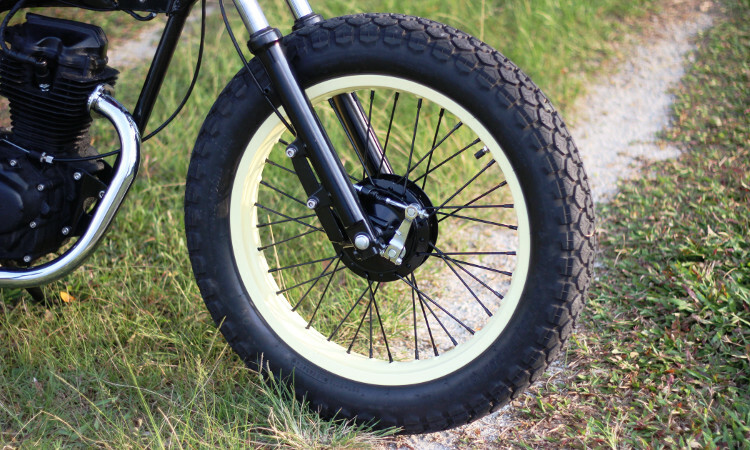 I wanted to retain the front drum brake look, so i used a better, latest model Honda EX5 front hub laced to an alloy Racing Boy rim sized 2.15×18 and finished it off with a Dunlop K70 Gold Seal 4.00-18 tyre. 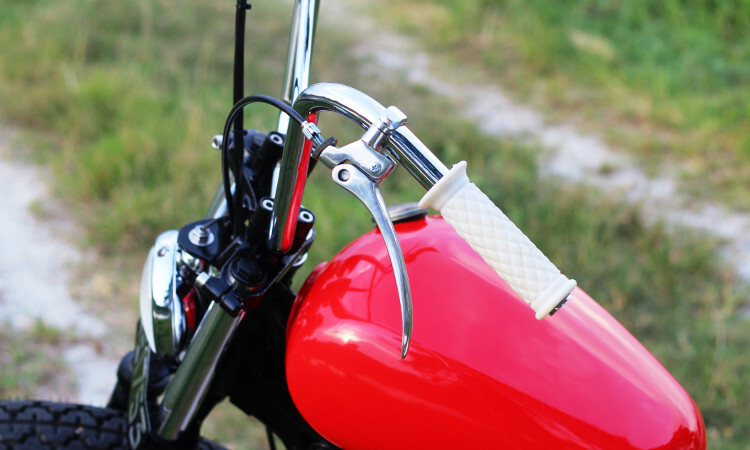 The handlebar is a one-off custom, mated with Biltwell white grip and custom clutch and brake lever. 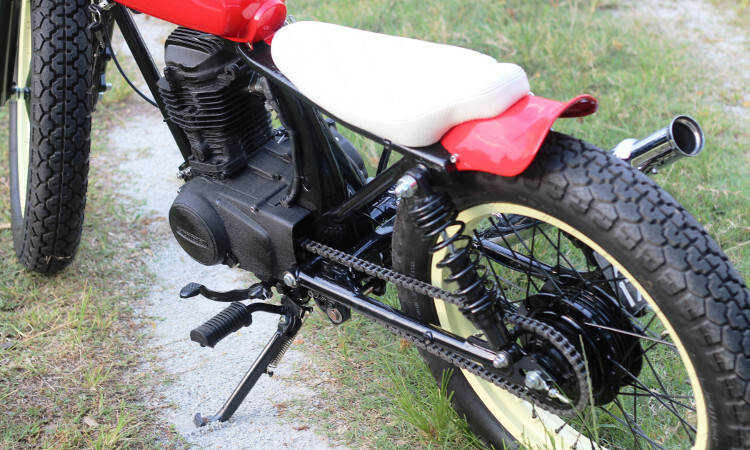 For the back, I lengthened the stock Honda CG125 swingarm by 3″ to get that low and long stance. 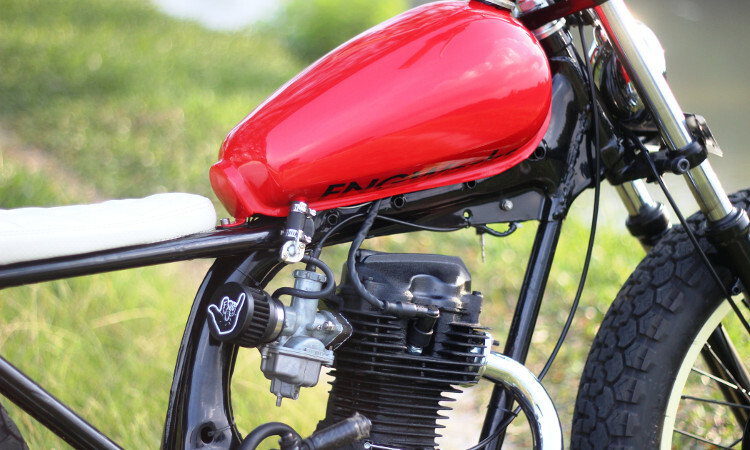 The swingarm was powdercoated in black. The wheels set up are the same as the front but it uses a Yamaha RXZ135 hub as it is bigger and gives more braking power. The absorber was from Racing Boy. The engine was rebuilt with fairly standard internal as reliability is needed, but I have mated it with a cone air filter and better exhaust system. 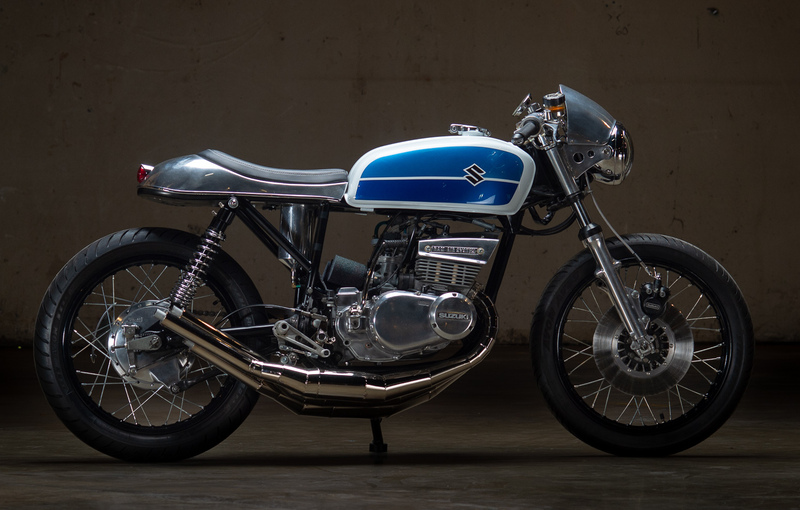 The exhaust system is stock at the front (manifold) but it has a step up piping in the middle and finished off with a custom made muffler that resembles the chopper look and swept it up to follow the rear subframe angle line. The wiring was simplified and the front headlamp and rear taillight was off the shelf parts with custom bracket to fit. The rear plate bracket was angled to follow the absorber angle line. 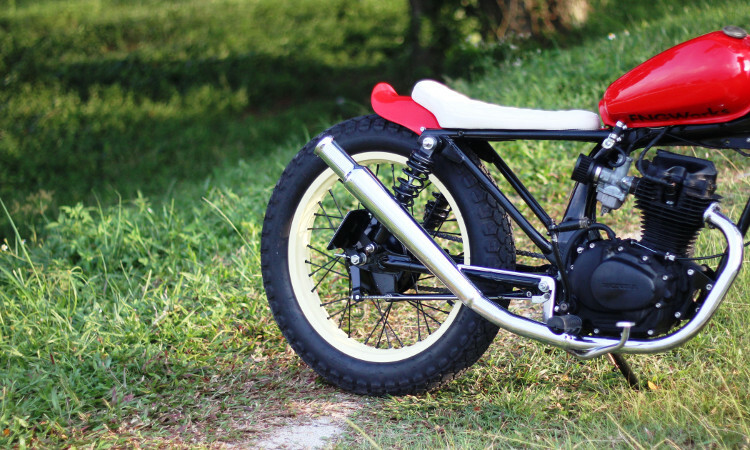 The color scheme was chosen to give it a bit of soft and elegant look to fit the rider personality. Thats one way of installing the fuel tap. LOL. 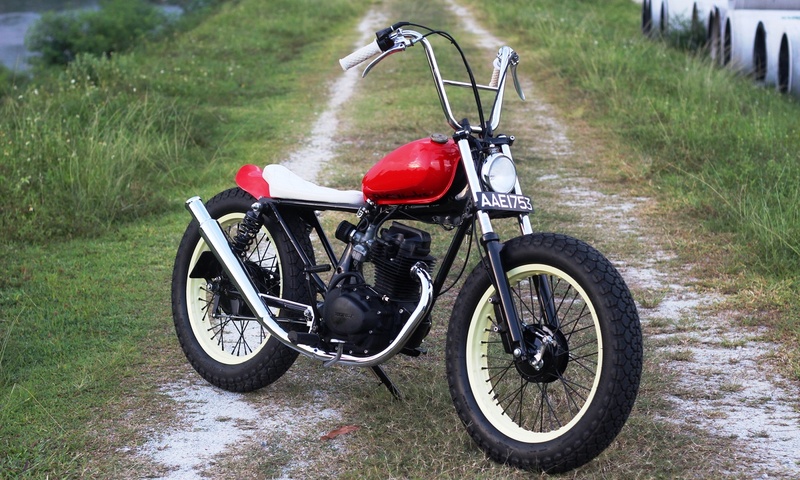 But yeah, looks like a fun little machine. Sweet little thing. The bike I mean.